Ava tells Franco that Nina was at the scene. Franco claims Nina was at Shadybrook, but Ava pulls out her phone which has a very clear photo of Nina, with the knife in her hand. Franco accuses Ava of killing Silas then taking the picture of Nina. He claims this incriminates Ava. Ava claims she&apos;ll give the police the photo and then points out that Franco knew that Nina was there. Franco begs Ava not to give the photo to the police. Ava tells him that she won&apos;t if he can her recording from Scott. Carly insists Morgan tell her whether or not he killed Silas. Sonny counters that they need to know so they can bury it. Carly feels there would be evidence that would lead to Morgan. 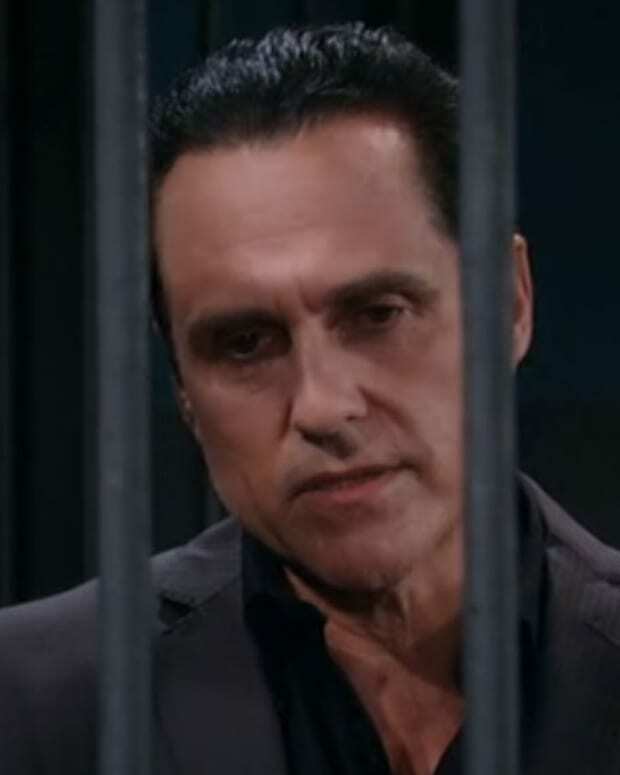 Morgan tells them that Franco was caught at the scene and arrested and storms off. Carly points out Morgan never denied killing Silas. Sam offers Kiki her condolences and a shoulder to cry on. Kiki wonders why Franco would kill her father, but neither come up with a plausible reason. Sam offers to help with the memorial service. Scott orders Jordan to release Franco, claiming the evidence is circumstantial. Jordan points out that Franco is a flight risk. Mayor Lomax arrives and announces that Franco is staying where he is. Scott and the Mayor go back and forth until the Mayor warns him to prosecute Franco or face the consequences. Nina wants Nathan to tell her who the other suspect is, but he didn&apos;t get a name from his mother. Nathan says Silas was killed because of a secret. Nina begins to wonder if Franco is going to sell her out. Jake tells Liz about his visit with Hayden and that she has no memories. He also admits that he and Sam have been investigating Nikolas. Jake wonders if Nik also knows his true identity. Jake apologizes for keeping it a secret from Liz. Jake proposes to Liz. Hayden says she recognizes Nik from Jake&apos;s description and questions the extent of their relationship. Nik claims that they had an on and off relationship. Nikolas asks Hayden to move in with him. Morgan gets home to Kiki, who admits she can&apos;t accept that Franco killed her father. Nathan asks Franco who he thinks killed Silas. Franco asks for an attorney.